As a tourist destination, Berlin may not be at the top of everyone’s list. The city will never rid itself of its role as the epicenter of the Third Reich, nor as the symbolic marker of the Iron Curtain. But these dark periods of Berlin’s past are what make it such a special place to visit. Visiting these places encourage us not to forget the lives that were lost. 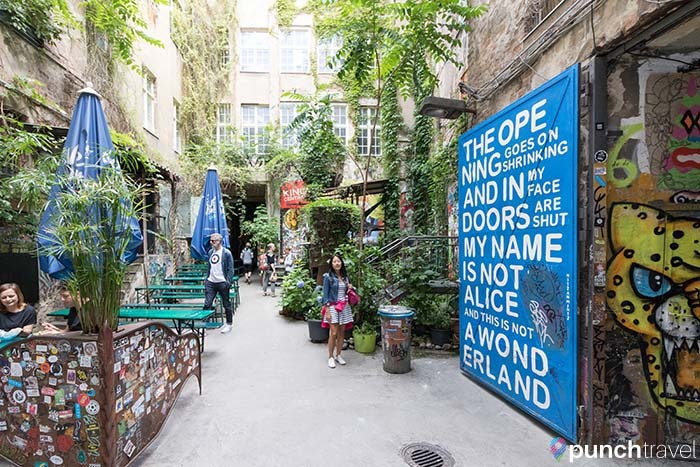 Berlin’s turbulent history will never be forgotten, but that has not stopped it from becoming a popular destination to visit. The east side of Berlin has reinvented itself as the edgy underground neighborhood to be. Meanwhile neighborhoods in Charlottenburg and Potsdam are prime shopping spots. The Scheunenviertel or Barn Quarter was once the center of Berlin’s Jewish neighborhood. Walking through the cobblestone streets now, it is hard to imagine that this used to be a slum. Several significant historical sites are located here, such as the Otto Weidt Workshop for the Blind. This is where a German factory owner hid his Jewish employees and eventually helped them escape from Nazi concentration camps. Wander through the streets to examine the distinct character of the area. Don’t be afraid to step into the building courtyards to discover unique architecture, street art and other hidden gems. On a nice day, head to Hackescher Markt to dine al fresco at one of the many restaurants and bars in the plaza. 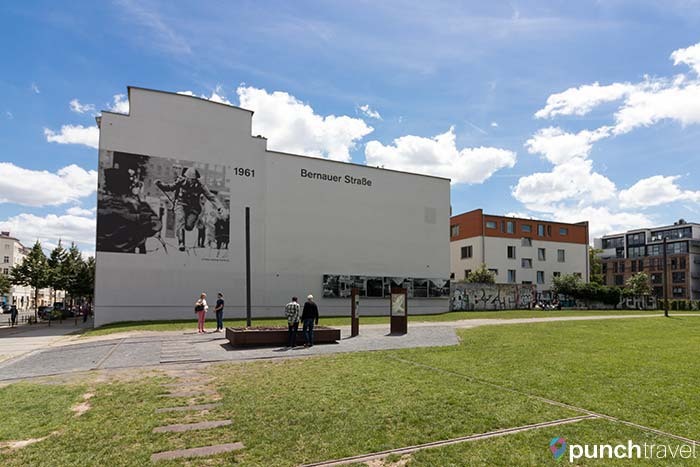 There are no shortage of museums about the Berlin Wall, but the best one is the Berlin Wall Memorial on Bernauer Strasse 111. The memorial is situated along a stretch of where the wall once stood. Remnants of the inner and outer walls remain, as well as the ruins of the razed church, watchtowers and bulldozed row houses. Most poignant are the incident markers on the ground, showing where specific incidents occurred like an escape or arrest. You can also see the location of the escape tunnels (and Stasi tunnels) that stretched from East to West. Reading the accounts of the people who lived along this stretch of the Wall is harrowing yet inspiring. Berlin has many great museums and if you are looking for them, they are here in the area known as Museum Island. Whatever your fancy, you’ll find a museum here that suits your interest. 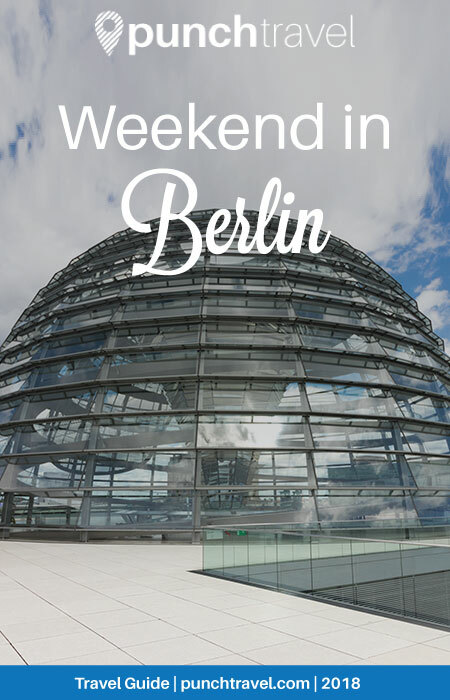 You’ll find several history and art museums like the Altes Museum, Neues Museum and Alte Nationalgalerie all in this area. I am a fan of the DDR Museum, an interactive museum that lets the visitor experience what life was like in East Germany. Step into a typical East Berlin flat and try on fashions from the time, take home traditional recipes, and compare TV programming from East to West. 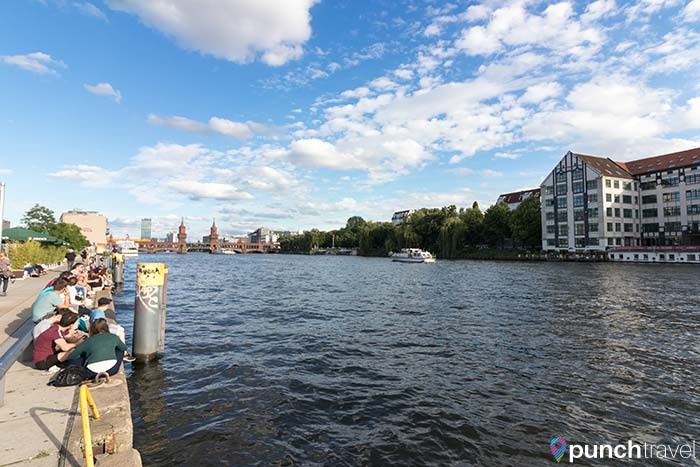 Walk along the river Spree towards East Berlin. 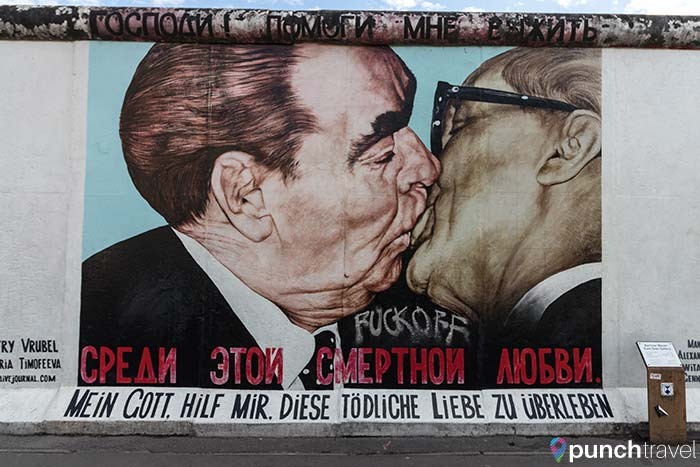 Along the way, you’ll pass by the East Side Gallery, a long stretch of the old Berlin Wall covered in graffiti. You’ll find the famous mural by Dmitri Vrubel, “Mein Gott, hilf mir, diese tödliche Liebe zu überleben (My God, Help Me to Survive This Deadly Love)”. Young people now lounge along the river bank which once formed the barrier between East and West Germany. Trendy bars and coffee shops in shipping containers jostle with luxury condo buildings and the O2 Arena. 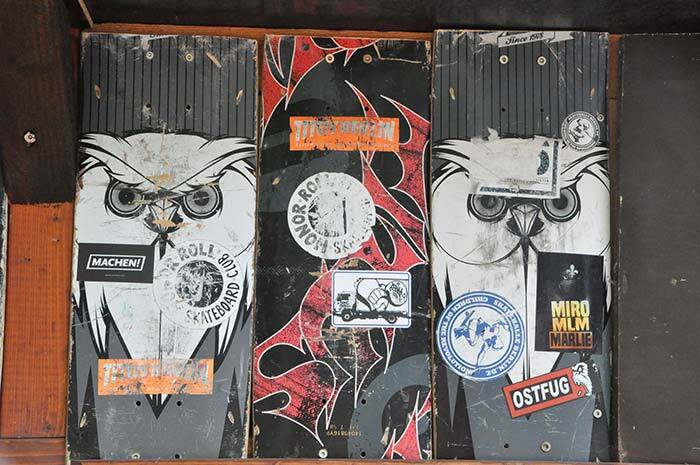 Continue and take a left on Warschauer Strasse and you’ll step into an edgier side of Berlin. The neighborhood is called Friedrichshain and it could easily be considered the Brooklyn of Berlin. If you’re looking for the gentrified hipster vibe of Williamsburg, head to the Michelberger Hotel. Grab a beer or cocktail in the courtyard or stay for dinner at their excellent small plates restaurant. For a grittier graffiti and skate parks vibe like Bushwick, continue to the shipping container market off Revaler Strasse. Nosh on the excellent veggie burgers at Emma Pea. Sundays are as good a day as any for some somber reflection. Spend the day taking in the rich, but dark, history that pervades the city. Begin by visiting Brandenburg Gate. 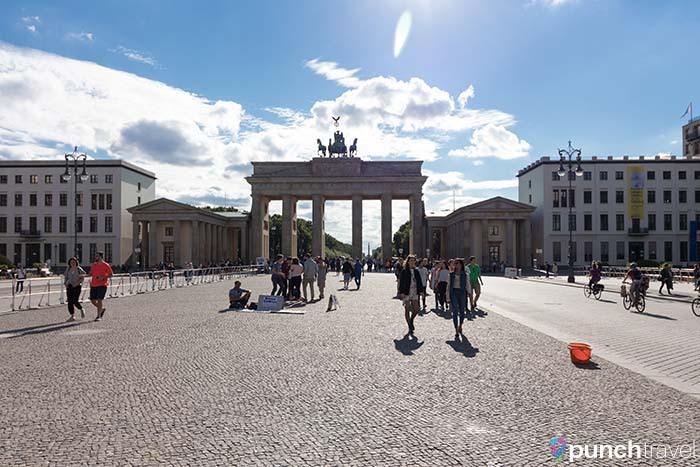 This iconic structure has played an important role throughout history, from when Napoleon marched through its gates, to when the prime ministers of East and West Berlin met here at the beginning of the end of the Cold War. The gate was destroyed by Allied bombing in WWII but the reconstruction reminds people of what took place here. The area surrounding the gate are home to the US, UK and French embassies. Across the street is the Reichstag, the German parliament building. 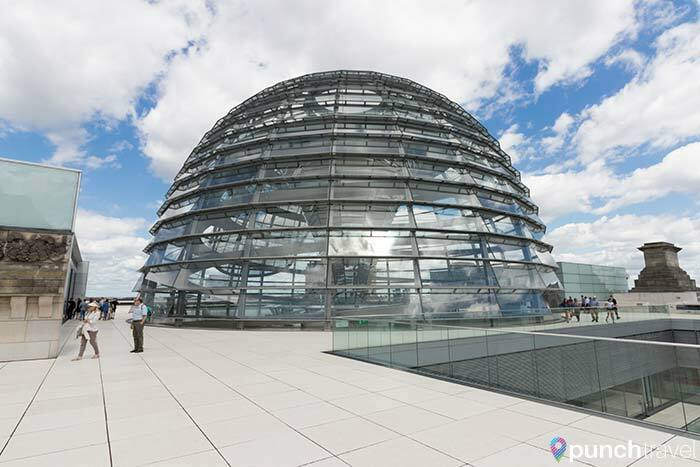 Free tours of the glass dome and rooftop are available by appointment. Continue down Ebertstrasse towards Potsdamer Platz. On your left is the Memorial to Murdered Jews, containing 2,711 columns in a maze-like formation memorializing those killed during the Holocaust. 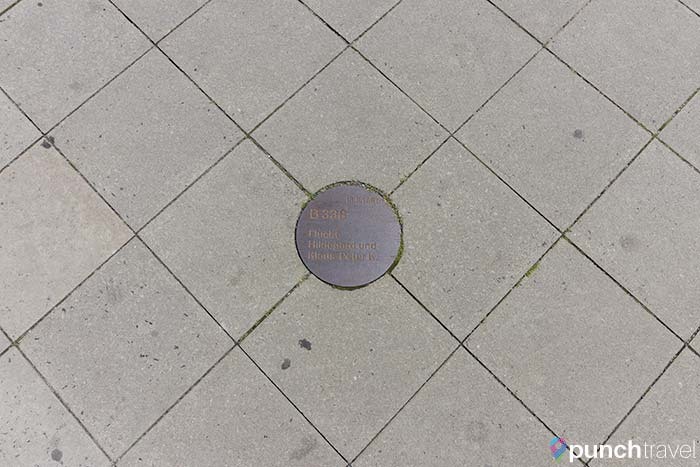 Only about a block away from the Jewish memorial is the former location of the Fuhrer Bunker, where Adolf Hitler committed suicide on April 30, 1945. Although nothing remains of the site, a plaque marks the location and provides detailed background of the bunker and the timeline of events. 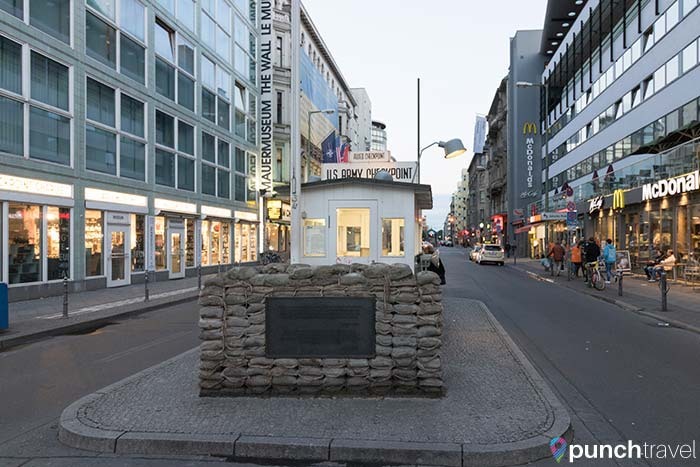 A few blocks away, fast forward a few decades to the site of Checkpoint Charlie. For years, this checkpoint separated East and West Germany. Although what stands today is a recreation of what the original guardhouse looked like, the remains of the wall still cross the concrete ground. Ignore the opportunist actors standing in as American soldiers and follow the wall to the free Topography of Terror Museum. This large museum on the former headquarters of the Gestapo features an exhaustive exhibit on the history of Berlin from the start of WWII to 1989 when the wall fell. The outdoor exhibit traces the remnants of the wall and provides a timeline of events. The interior museum, while a bit text-heavy, contains a comprehensive look at Nazi history.